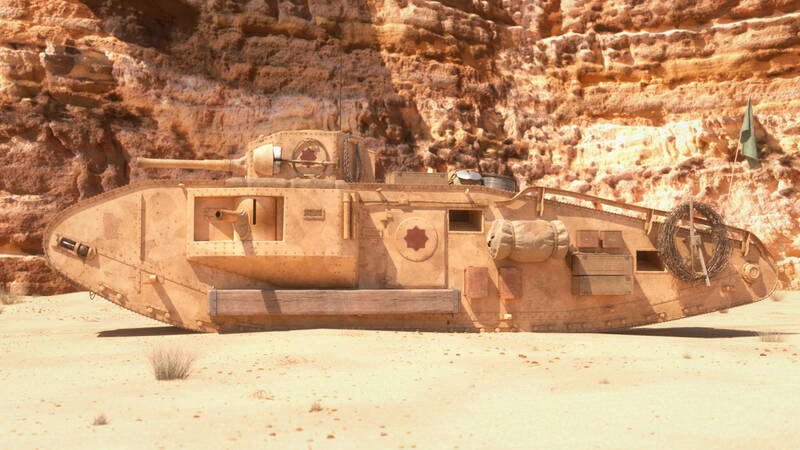 This is the Hatay tank from the excellent movie Indiana Jones and The Last Crusade. I have always liked its design because it’s so different. And slow. And noisy. And big and heavy. It’s a beautiful piece of engineering. 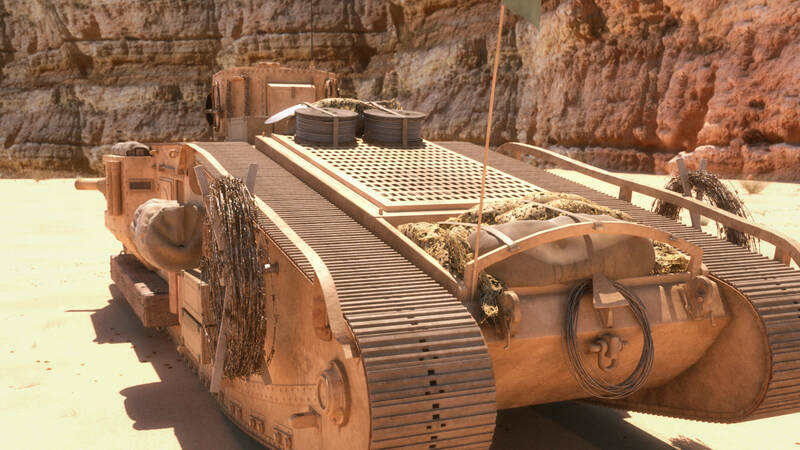 The tank in the movie was built from scratch based on one of the first tank designs, the Mark 8 used in World War 1. Usually I don’t waste my time on anything related to the military but this is an exception. 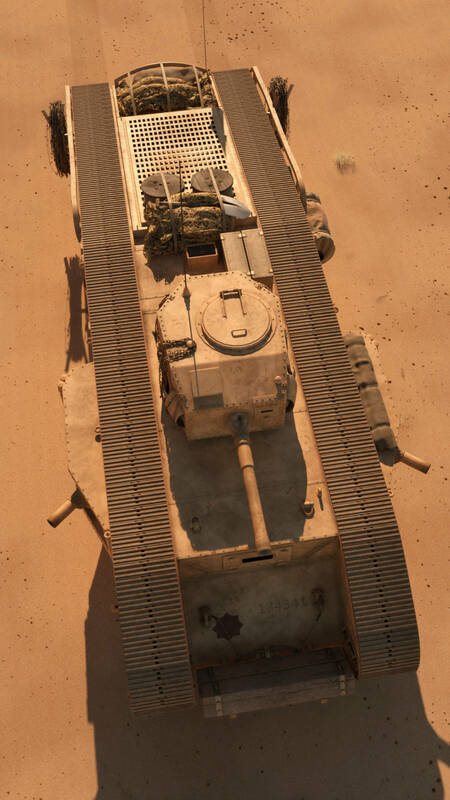 I like the design of the tank and the movie too much. Things got a little bit out of hand with the textures so this whole thing is 391MB. Background and wood textures are from ImageAfter, the rest are created in Gimp. This is fan art, it is based on a copyrighted design. That’s why the blend file and the rendered images are licensed with a non-commercial license. You are still free to use it but not for any commercial work. Indiana Jones and The Last Crusade © Paramount Pictures.